While Russian people of Soviet era have been usually lost in landscape due to civil maps of a poor quality and deliberate inaccuracies, those used by interior and military units were undoubtedly the most precise and information rich of the world maps. Uncle Joe knew where you lived (and what is a color of your carpet) as John Davies clearly showed (part 02 is here). 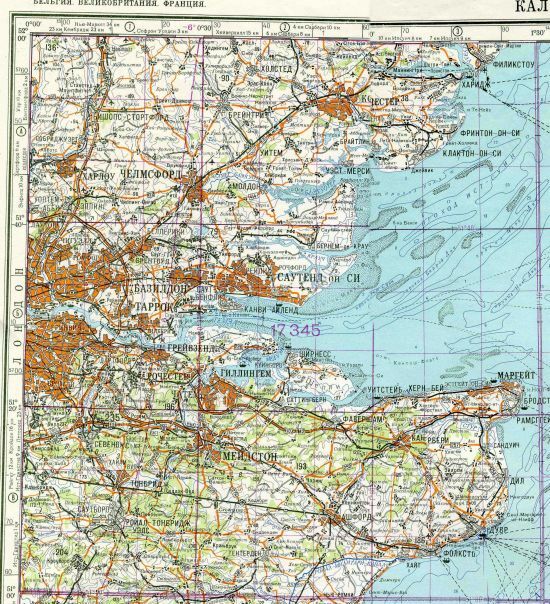 The suspiciousness and paranoia of Soviet regime led to bizarre results in “public” mapping – maps were inaccurate and occasionally completely false because of military areas and objects of strategic importance (to fool western spies “present everywhere”). Quite contrary, secret maps of foreign countries were of highest quality and graphical details (see this specimen of San Diego, or this Cold War Russian maps of San Francisco). Every general know the maps are crucial for the planning of tank routes in expected epic conflict between bad capitalistic world and the “Camp of Peace”. These detailed maps were secret form 30ties of 20.th century till today and were directly under NKVD administration. Exhaustive explanation and description of their ude is available also in this article and here on a blog of Wired magazine. práve čítaš The best analogous (hardware) maps of the world are… those from Soviet Russia… v ďobo-CADzone, true men don't kill coyotes and use AutoCAD….